Wunderman Minneapolis presented us the challenge of converting brainwaves into a real-time color readout for an event hosted by Sherwin-Williams at the 2018 AIA Conference. We designed an experience that translated four different channels of brainwave data into the components of color. 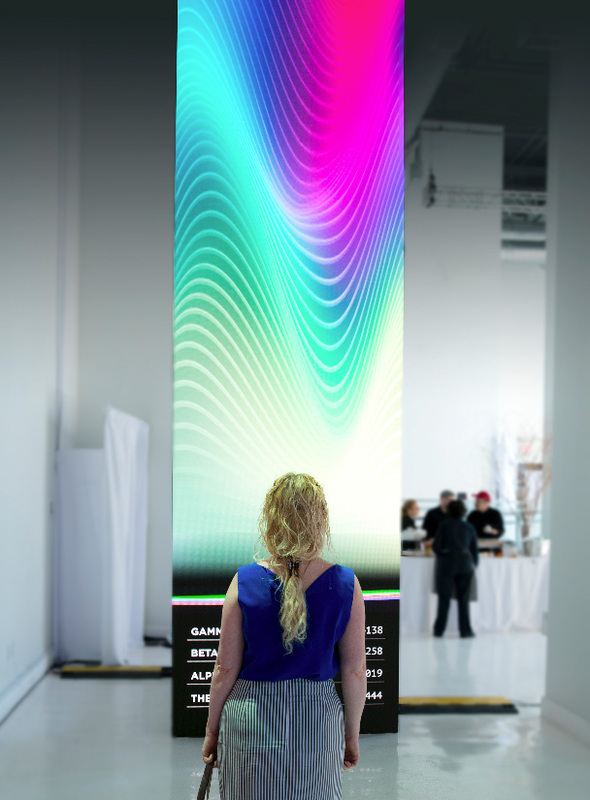 These color values then displayed as a growing vertical timeline, filling a 17' LED screen. We used EEG headsets and generative software to create an experience that was immediate and immersive. After participants finished their brainwave analysis, a custom color gradient swatch was generated based on their most frequent colors and brainwave ranges. Participants took away a printed version of their swatch with brainwave data and also received a digital, social asset version of the Thinking In Color experience.